Hyderabad: The Hyderabad city police on Sunday arrested three people for selling IPL tickets in black for the matches that are scheduled at the Rajiv Gandhi International Stadium. They were caught red-handed following a tip-off. The police said that the accused who have been identified as Ranjith, Rahul and Varun, all aged under 20 years, were ticket booking clerks for an online event management company. The trio was selling tickets at a counter near the Assembly Metro Rail Station. Police said that the trio had doubled the prices of the tickets and would further increase it, if the demand was high. “They were selling tickets priced at Rs 1,000 for Rs 2,000 and those priced at Rs 1,500 for Rs 3,000, depending on the demand of the buyers. After bargaining, the accused would take the customers to a side and hand over their tickets,” stated the police. Sixteen tickets, cash worth Rs 37,500 and three cell phones were seized from the three youths. Police said that the accused and the seized items had been handed to the Station House Officer for necessary action. This not the first time that such an incident has come to light from Hyderabad. In May last year, 12 persons and Rs 15.5 lakh in cash was seized. This too, based on a tip-off. Commissioner’s Task Force had conducted simultaneous raids at four different places in Hyderabad and Secunderabad. The police also found Rs 7.27 lakh in two Axis Bank accounts, 22 cell phones and other incriminating materials. 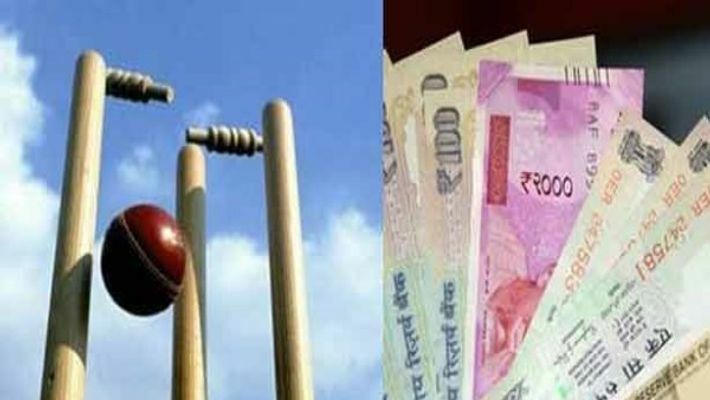 The raids were conducted on the hideouts of cricket bookies and collection agents while they were collecting betting amounts on an ongoing match of the Indian Premier League (IPL) at Marredpally, Mangalhat and Kachiguda.